Holiday Packs Offer 25% Off Tickets! 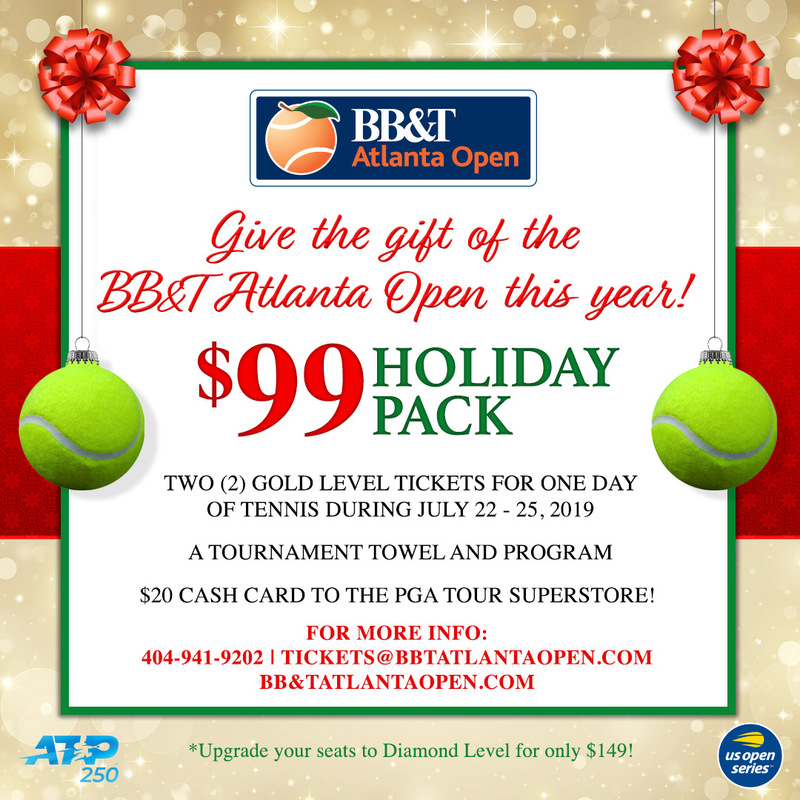 Beat the crowds and grab you and your loved ones 2019 BB&T Atlanta Open tickets before they go on sale at 25% off! Enjoy two gold level seats at only $99 or two diamond level seats for only $149, along with bonus tournament keepsakes! Offer expires December 20, 2018. *Gift cards expire December 31, 2018.